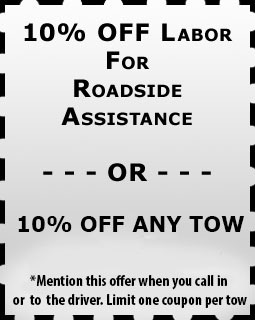 Roadside assistance is for drivers who find themselves stranded with an inoperable vehicle. Many times, there is no way to be prepared for the misfortunes on the road. Knowing you can call on us for roadside assistance can help you be prepared. Don’t be stuck for hours! Call Fast Fargo Towing for fast, dependable roadside assistance service. You can find peace of mind knowing that one of our experienced drivers can be there to assist you as soon as possible. Many times you can identify the problem, but do not have the proper tools to fix it. That’s where Fast Fargo Towing comes in! We’re available 24 hours a day for your emergency roadside assistance needs. You may not be able to predict when a breakdown will occur, but you can rest assured that we’ll be there when it happens. With our roadside assistance, you don’t need a membership or to pay a monthly fee to use our services. We’ll gladly drive to you and provide you with the roadside assistance you need to help you get on your way. Roadside emergencies don’t only happen Monday-Friday during the day. They can happen anytime on any day, even holidays. Whenever bad luck strikes, fast fargo towing is there to provide you with roadside assistance, rain or shine. We’re proud to serve the Baltimore with over 35 years of roadside assistance experience. The next time you find yourself in a car sputtering on the side of the road, remember the name fast fargo towing. Prompt and professional assistance is just a phone call away!